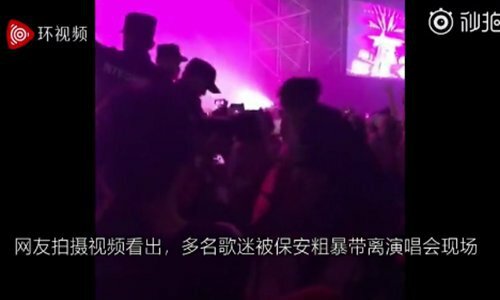 Fans were forcefully removed from a Dua Lipa concert in Shanghai on Wednesday. Videos posted on social media show security staff pulling people out of their seats and taking them out of the venue. Some netizens said people were forcibly removed because they stood up and sang. According to media reports, the concert was interrupted three times because of the actions of the security staff. Dua told the fans: "I want to create a really safe environment for us all to have fun." Others suggested that some fans were removed for waving pro-gay rights flags in the concert. This sparked wide discussions on social media, and the videos have been widely circulated. Many people have shown their anger on social media. Some criticized the security staff for their methods, while others blamed the concert's sponsor. Dua Lipa is an English singer, songwriter, and model, who began her musical career at the age of 14. She has won many music awards, and enjoys as huge worldwide following, including China.